In this world full of people with high expectations, humans have a rage to make themselves look better than others. To get an edge above their fellow mates, Photoshop has become one of their new best friends. It’s almost everywhere, all over the internet and all around the world. Earlier the process of getting famous used to be going to the studio, getting nice pictures clicked in different poses and in different sets of beautiful locations and showing it off in the peer group. But these days, the process has gone through a complete roller coaster ride. We are our own studios. Clicking a picture, bringing it home and changing it into a completely different thing altogether is what Photoshop has enabled us with and we surely are loving it, isn’t it? And hence, to support this craze of ours towards Photoshop, several brands have launched tablets which gel well and give us the best Photoshop using experience. Let’s head on to the list of best tablets for Photoshop and find out which ones of these tablets are dragging the sight of Photoshop lovers towards them. 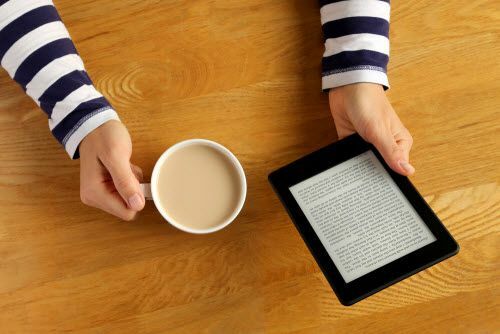 Before heading towards the list, readers should note that some of these tablets are graphics tablets which basically hook up with a laptop or desktop for editing, and having a capable computer that can handle Photoshop and other such heavy programs is always recommended for seamless editing. So, if you’re looking for a capable laptop alongside which you can hook with a graphics tablet then you can check out our buying guide for photo-editing laptops at our site Laptop Under Budget. Furthermore, we also have few tablets on our list which are fully independent, meaning they don’t need any computer for editing. The Wacom Intuos Draw is an affordable battery-free tablet for Photoshop and digital artists. It replaces your keyboard, mouse and gives better accuracy to edit your photos in Photoshop. The tablet is pressure sensitivity enabled which means you can draw a variety of lines depending on the pressure you apply. Moreover, the Art Rage Lite sketching and drawing software, online tutorials, and a free 8×10 metal photo print are included within the package for beginners who are just starting with digital artwork. There are 4 express customizable keys on the tablet on which you can place your favorite shortcuts at your fingertips. There is no need to worry about connectivity as it supports all the devices running on Windows and Mac operating systems via USB cable. On a conclusive note, the Wacom Intuos Draw is one of the best tablets for Photoshop that you can buy under the budget of $100. 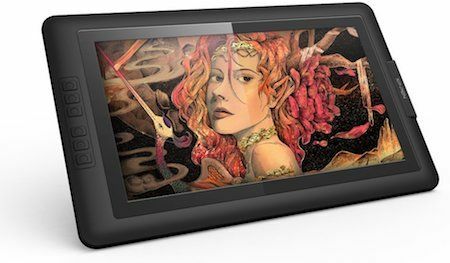 The XP-Pen Artist 15.6 is the newest tablet in the lineup of XP-Pen which features a 15.6″high-resolution 16:9 display that delivers impressive picture clarity with vibrant colors. Featuring a beautiful new slim design, the XP-Pen looks like an ultrabook when seen from the sides. Weighing just 3.3 pounds, the XP-Pen Artist 15 is easy to carry anywhere in your backpack just like a laptop, thanks to its slim and lightweight design. Moreover, the XP-Pen Artist 15.6 features the next generation Huion Pen with most advanced pen technology. According to XP-Pen, the new Pen delivers 2x greater pen accuracy than its predecessor which enables you to draw anything that you can imagine. The pressure sensitivity of 8192 levels which is highest in the industry enables you to draw a variety of lines depending on the amount of pressure you apply. To maximize your workflow, there are several multi-touch gestures which let you zoom, pan and navigate through a sweep of your fingers. Moreover, you can also customize 6 Express Keys with your favorite tools to access them easily while working. Overall, the XP-Pen Artist 15.6 is one of the best tablets for photoshop and illustrator that delivers best accuracy and portability. Recently, Wacom updated their Intuos tablet with newer version Intuos Pro which is far better when it comes to accuracy. 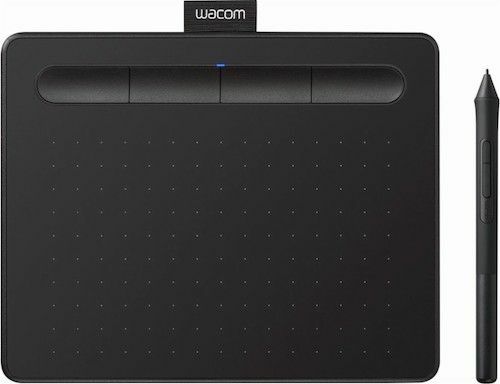 Featuring 8192 levels of pressure sensitivity, the Wacom Intuos Pro enables you to draw a variety of lines depending on the pressure you apply. What’s impressive about this tablet is that it weighs only 1.5 pounds, means you can easily toss this tablet in your laptop bag and carry anywhere without any kind of discomfort. Made with premium materials like anodized aluminum and glass fiber, the Wacom Intuos Pro is surely one of the best-looking graphics tablets out there. The new Wacom Pro Pen 2 is very light-weight yet powerful (4X accurate than previous versions) which comfortably sits against your knuckle. The buttons on the pen really have good tactile feedback and they are placed bit lower compared to the older one, so that you can access them easily while working. You will definitely appreciate these improved ergonomics over a long session of drawing or photo-editing. Features like multi-touch gestures, radial menus, and customizable express keys will definitely help you to maximize your workflow. The setup is painless with the Bluetooth connectivity so that you can start drawing straight out of the box or you can also connect the USB cable provided within the package. All in all, the Wacom Intuos Pro is highly recommended to all the digital artists who are expecting good value for money. The Huion KAMVAS has won hearts of many digital artists with its long range of specifications at budget price. It features a bright 19″ IPS display with resolution of 1920 x 1080 pixels which is ideal for photo-editing using photoshop or illustrator. The 72% NTSC color gamut and 3000:1 contrast ratio produces 16.7 million colors brightly and vividly. Working on Huion KAMVAS is very responsive with the 233 PPS report rate which promises lag-free and faster recognition. The Pen that comes within the package has 8192 levels of pressure sensitivity which is found in the Wacom Pro Pen 2. The Huion Pen is very comfortable to hold and provides that grip while working, thanks to its improved ergonomics over the previous versions. The setup is quite easy, you just have to connect the KAMVAS with your PC / laptop running on Windows or MAC via USB cable and HDMI cable that comes within the package. Overall, the Huion KAMVAS is one of the best budget tablets for photo-editing using photoshop. 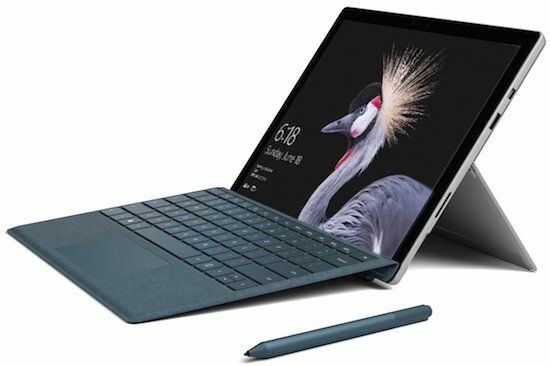 After years of development spent to convince us that a tablet could replace a laptop, Microsoft has finally delivered the goods with the Surface Pro 4. Equipped with robust processing power, this tablet is a total beast still being awfully lighter than ever before. A perfectly sized display and just-right aspect ratio make the Pro 4 one of the best screens to look into those intricate details needed for editing and Photoshop. This also solidified the Surface’s position as the gold standard for Windows tablets. 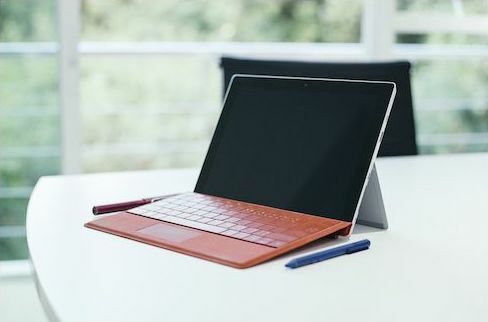 Microsoft’s tablet adds the latest Intel processors and a handful of hardware and software tweaks, but it doesn’t radically change the DNA of its predecessor, 2014’s excellent Surface Pro 3. But, as a very refined product, the Surface Pro 4 is not inexpensive. The wide variety of configuration options and accessories mean that its starting price of $720 is not very realistic. “A tablet can replace a laptop”. This statement has been proven perfectly right. Since this beautiful beast comes with a touchscreen magnetic stylus and a detachable keyboard for our convenient Photoshop and other applications usage. All and all, this Surface Pro 4 is the complete winner and tops this list of ‘best tablets for Photoshop’ with flying colors. Best for photo-editing and other everyday requirements, Surface Pro 4! – $799 on Amazon. 19 inch LED drawing area with TFT panel and 1440×900 resolution looks like an equitably large layout and working area with soothing to the eye display and power. These features make Ugee 19” the most economically sound tablet in its competitive market. 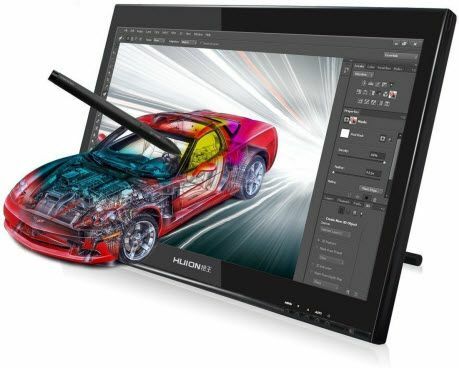 Highly compatible with almost every editing, drawing and designing software, this tablet comes with 2 rechargeable pens with 2048 pressure levels sensitivity that can meet all the needs of our delicate Photoshop experiences and jobs. To bring out the creative personality in you, this tab has been ergonomically designed with stands and pens that would completely replace the needs of the external keyboard or standing hardcovers. A starting price of $699 for a tablet that comes with such extensive features and strong hardware proves itself as being a very pocket-friendly tablet. It may not have HD resolution or express keys, but you can still work without them by placing the keyboard near you. Especially with the kind of screen size, pressure sensitivity of the display and viewing angle of the screen, this tab makes itself a great option for a techie’s creative streak and is the complete package and best value for money tablet for Photoshop. 10.1″ 1280×800 IPS 16:10 Display with 178°visual angle works towards delivering even more lifelike colors, greater contrast, and sharper, more vivid images. This is what gives the already edited pictures and the pictures being edited more life and depth. The custom-designed anti-reflective coating reduces glare by 56 percent making it more bright and beautiful, even if it’s bright outside. The latest Pen Stylus technology with 2048 levels of instant Pen Pressure Sensitivity provides one with a path-breaking control and fluidity to expand your creative output. Its non-charging requirements also have a big impact on its user’s creativity. Enhancing the creative streak and imagination of a Photoshop lover is what this tab offers to its users and also is successful in doing so. New Artist 10S has key upgrades over the original Artist 10. It features a 6mm thin design; included 3 in 2 cables, and a new brightness adjust button which can be a few add-ons to its already hi-tech design. 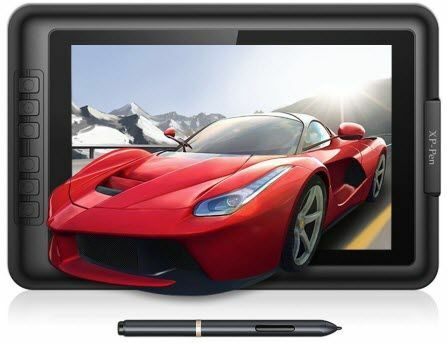 Existing in the market at a price range of $199, this tablet for Photoshop prevails to fulfill all your demands till the time you can afford a costlier competitor. As it has always been observed that any ‘I’ letter starting product has always been the prominent face in the market and when you can afford the best why should you go for the rest. Apple’s iPhones, iPads, and even MacBook are one of the best in the market as it’s a powerful beast in disguise of a beautiful angelic body. 9.7” Retina display and a resolution of 2048 x 1536 is the most preferred one out of the lot by Photoshop users. It’s slim and lightweight design powered by iOS 12.1, A10 Fusion Chipset and Six-Core Power VR Graphics just leave the user mesmerized when he finally looks at his final edited picture. So if you figure out how to use an iOS, then this could be one of the best things you would have ever used in your entire life. This iPad supports new Apple Pencil which enables its users by giving them the best usage experience ever. 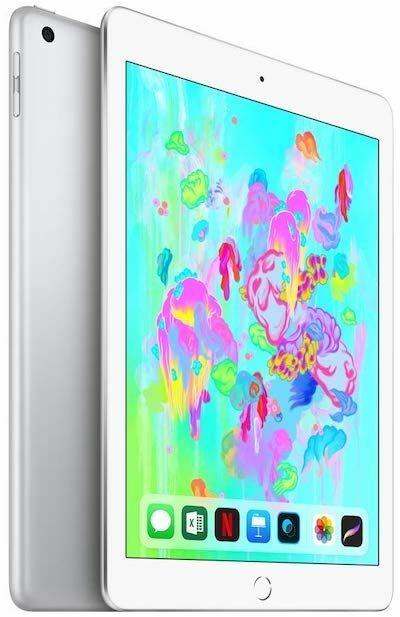 But if you surely feel that this one can burn a hole in your pocket, then you can switch to its smaller and a little cheaper replacement buddy, the iPad Mini 4. This one not only costs less but also offers to give you the same experience as its elder friend. Though some of the features might go missing in this smaller iPad Mini, but it would not fail to prove itself a good replacement option. It has all the basic features that are needed to work very effectively and efficiently on Photoshop and other editing apps and hence the 9.7 “iPad is a good option if you’re looking for something which is best for everyday requirements and photo-editing. Therefore, iPad 9.7” has made its way in our list of ‘best tablets for Photoshop’. $309 $249 | Buy at Amazon*Save $60 on this deal! 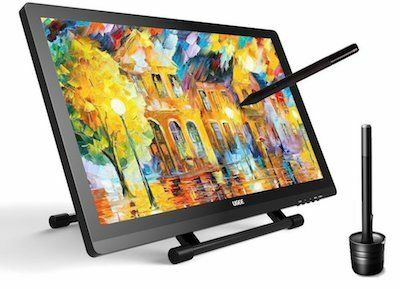 This is a drawing monitor which is not a standalone monitor; you need to it connect to your computer to use it. The life of a Photoshop user depends mostly on the clarity of a screen’s display and the colors portrayed on its screen. 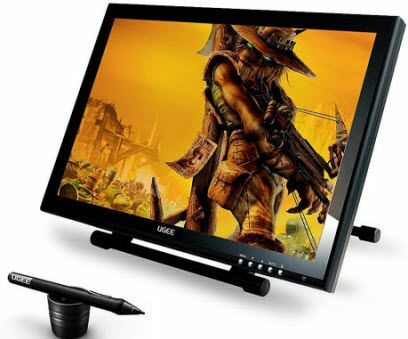 The best of its resolution capacity is what exactly forms most part of the basic features of this Ugee 2150 Graphics Tablet. High-color fidelity with In-Plane Switching (IPS) technology across a 21.5-inch diagonal screen enables easy viewing and working. Color and clarity radiate from the screen with Full HD 1920 x 1080 Resolution. 2048 level pressure, control line thickness and color transparency make your editing line smooth and natural. Its compatibility with any PC or Mac OS also enables smoother pace of work over it on Photoshop and other applications. Featuring in the market at a cost of $490, other than the fact that this tab needs to get connected to a PC while working, it is a good tablet for photo-editing with decent components. Wide 19” LCD screen with 16:10 aspect ratio, brings you extra room for creativity. 1440 x 900 pixels that display almost 16.7 million colors with high 1000:1 contrast, delivers clear detailed images. 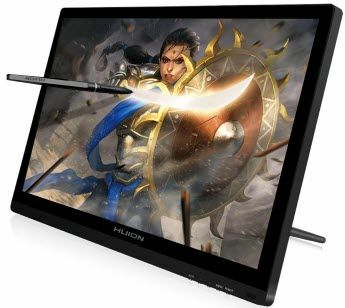 Holding a viewing angle of 170° horizontal and 150° vertical, the Huion Pen Display Graphics Monitor defines each and every move of yours in making a picture reach its creative best. Higher contrast, clearer display, more lively colors combined together bring out the best-edited pictures that would definitely not fall in the pit of Photoshop failed images. The GT-190S comes with a GT-P80 rechargeable stylus that recognizes 2048 pressure levels for smoother working and movement. It is lightweight and fully covered by very fine rubber which makes it even more comfortable to hold in your hands. 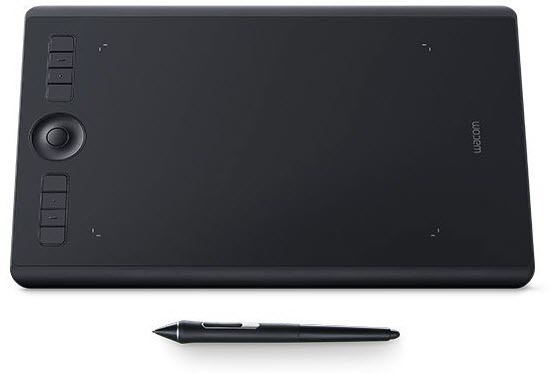 So overall, the GT-190S is one of the best tablets for digital painting, photo-editing, graphic designing and is definitely a wallet soother as it costs only $399 which is way less than the other tabs in its competition. Capturing something beautiful and then creating something even better out of it is what Photoshop enables one to do. And to support this creativity of its users a good gadget is a must. These are surely one of the best tablets for photoshop from the big lot of tablets in the market and also have proved themselves as being the best out the best. So what are you waiting for, Christmas? Go pick your choice from the list and grab your piece ‘coz being greedy about lesser prices won’t work here as these tabs already cost lesser according to their configurations. And if you still feel that a tablet cannot replace a laptop, then we guess you should stick to your PC or those beauty plus camera clicking apps in your smartphones that click better than natural pictures. But remember, a Photoshop is Photoshop and its everywhere for a reason!